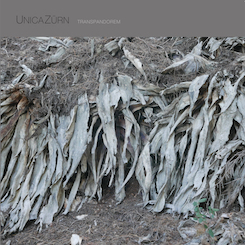 After a hiatus of almost 9 years the legendary trio of Christian Fennesz, Jim O’Rourke and Peter Rehberg have returned with a new studio album. Technically the first studio album as previous releases were edits of live performances. They spent a week in Studio GOK Sound, Tokyo to lay down some stunning electronic works. Whereas previously the emphasis was on a chaotic blend of found samples mangled through their mobile computing systems to create a humorous oddball sound, ‘In Stereo’ implements a more wider instrumental palette of analogue & digital synthesis, guitar, piano, bass and percussion. What they do maintain is the ability to make a near psychedelic audio blend where its impossible to determine who does what. Released as CD digipack and gatefold double vinyl which features an extra slice of classic Fenn O’Berg magic beauty.